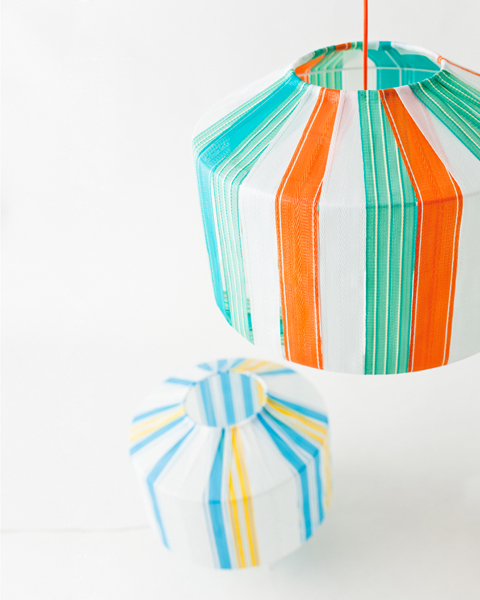 We just announced our challenge theme for the weekly Etsy European Streetteam creative challenge, and got the first entry already! We want to see wedding creations in pastel or candy colors, dreamy and perfect for wedding in Spring... Too see our inspirations click here. Petronella of Kraplap made a unique flower brooch for a special bride. 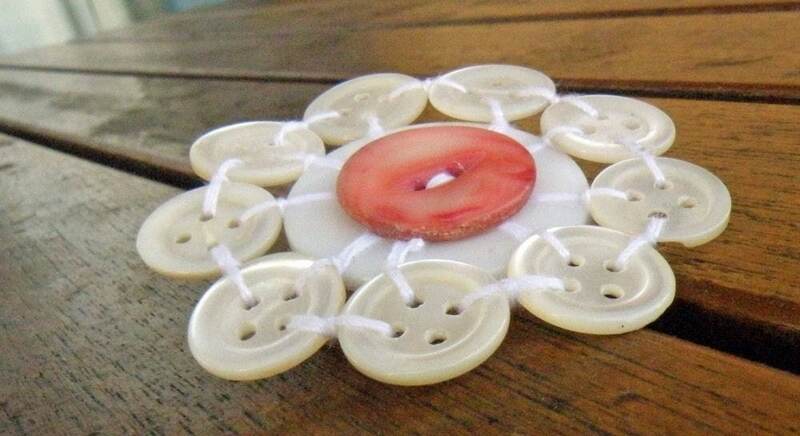 A brooch made of vintage mother of pearl buttons. Doesn´t it look special? 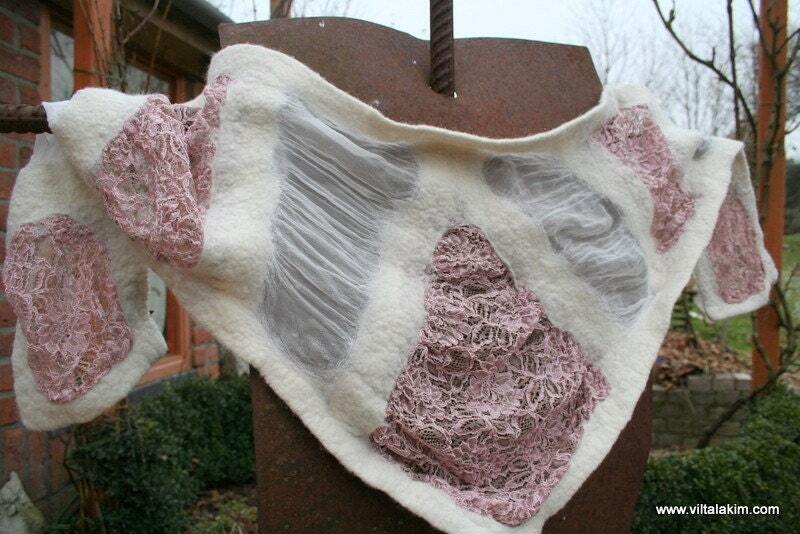 Kim from viltalakim made a felted wrap in pink and white. A dream to warm a bride in Spring from merino, silk and lace! 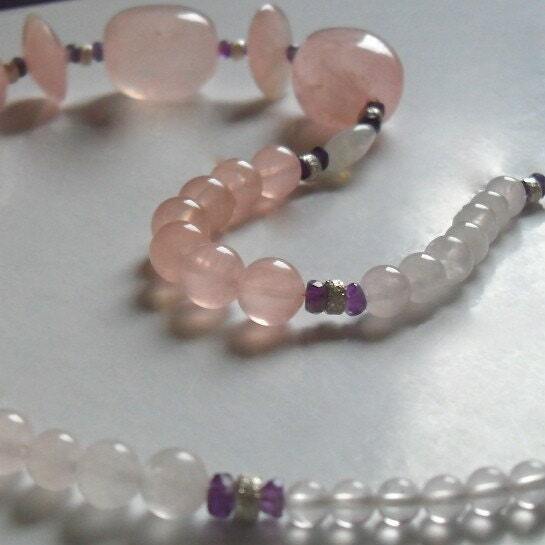 Susanne of Enchantedhue made a necklace from Rose Quartz, a very romantic stone, combined with Moonstone ovals and small Amethyst rondelles. 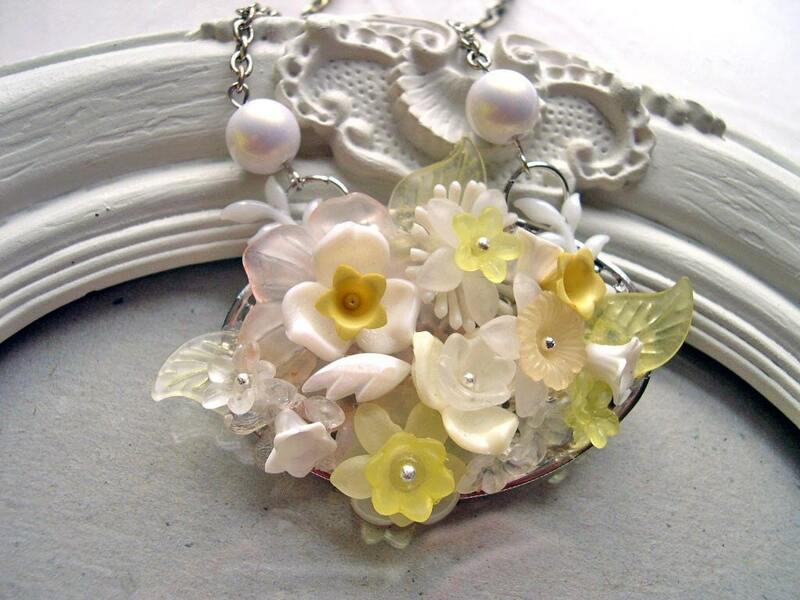 Nathalie from Dinafragola created a romantic and feminine necklace featuring a vintage flower pendant. A Bunch of flowers for the Spring Wedding. 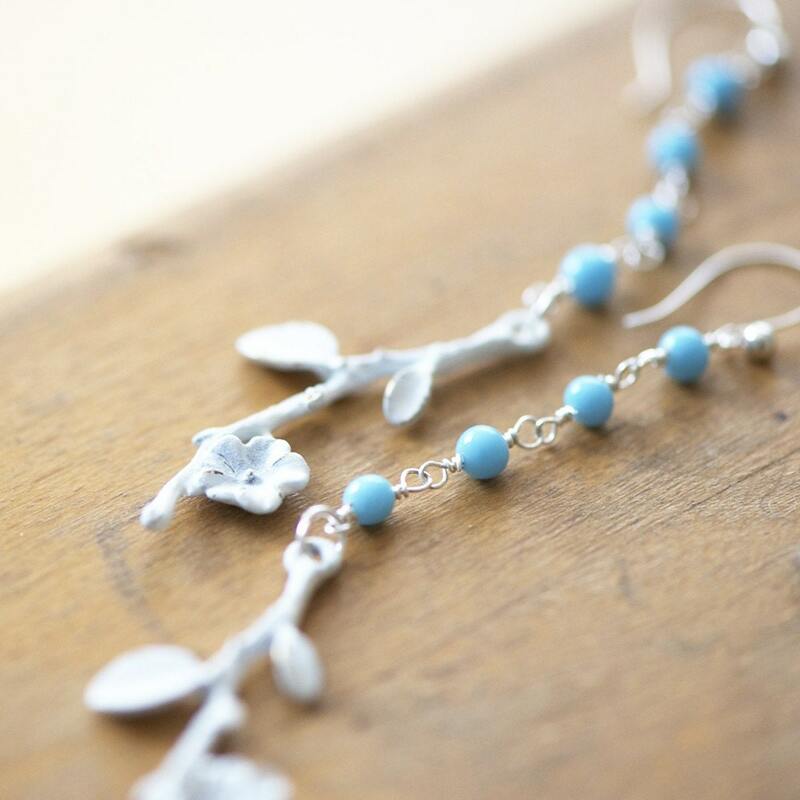 Minna from Karuski made wonderful earrings from from vintage tiny glass beads in light blue and metal cherry tree branches. Beauties for the bride or her guests. 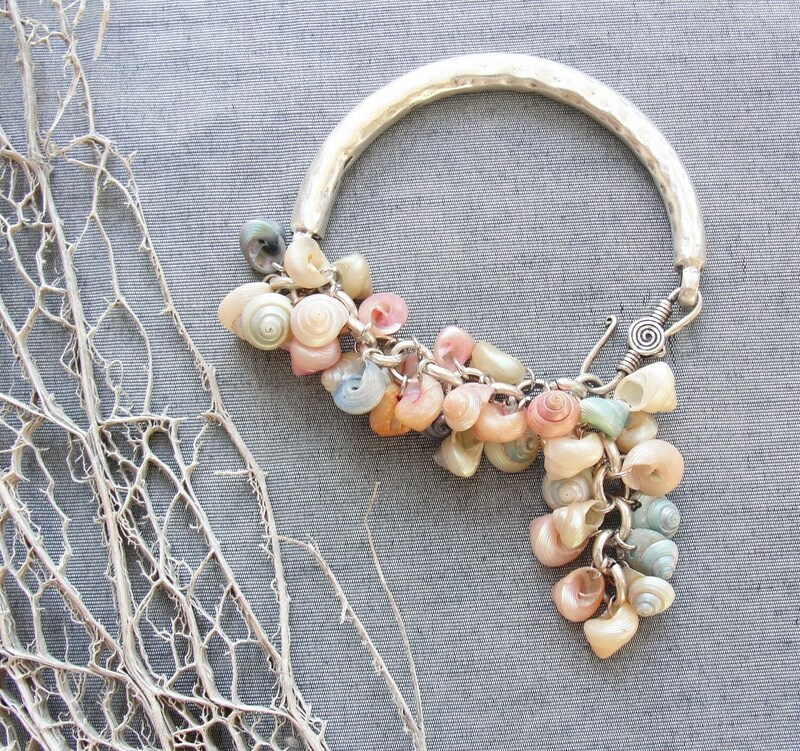 Estella and Esther from staroftheeast sent us this wonderful mermaid bracelet from vintage dyed pearly shells and a beautiful hammered silver plated cuff piece. Pastels are soft and romantic, as is love! Jana from Helmitarha sent us her Majestic Swan Earrings. 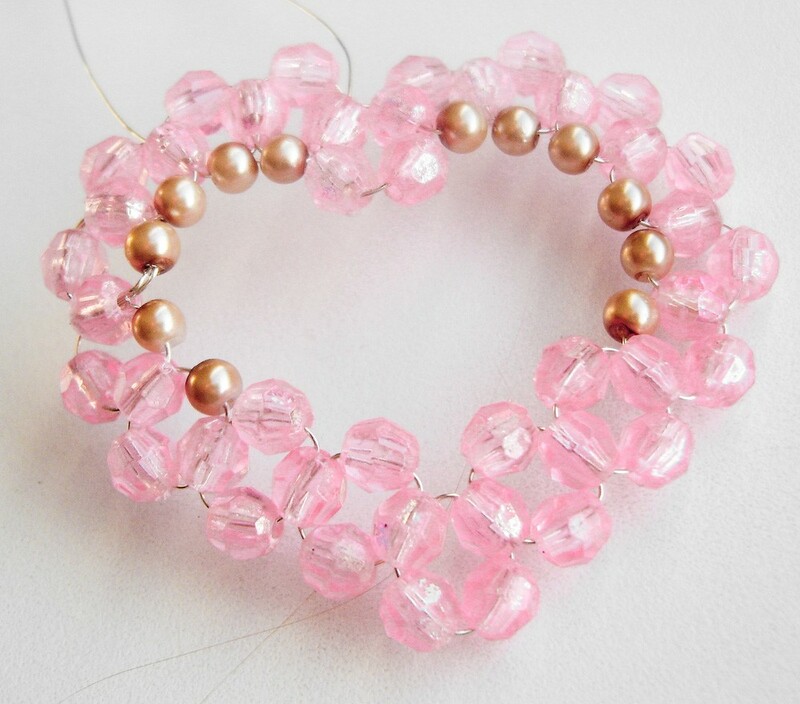 This long beaded earrings might not color your wedding, but they would give the bride an exraordinary fashionable touch. They remind us on something Indian, because of the "feather shape". What do you think? Tugba from MyColorfulDreams comes up with this Custom Message in the Bottle, a really personal gift to show your love. This can even provide the perfect way to propose! 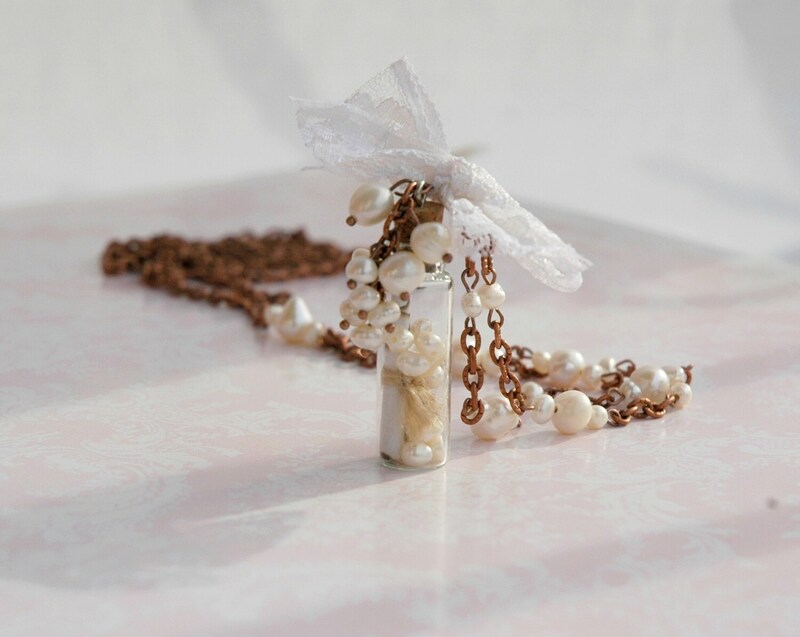 The bottle filled with ivory Fresh water pearls and necklace is adorned with them, too. In this tiny bottle your love will find a message: "My heart is ever at you service. Will you marry me?" 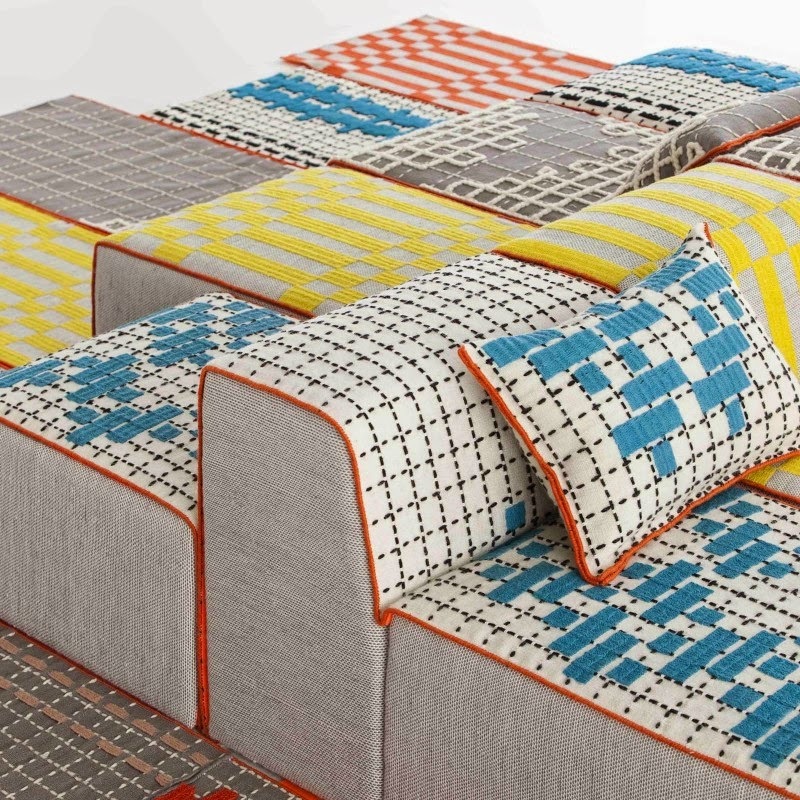 We're sure, Tugba would do a text change for you on request. 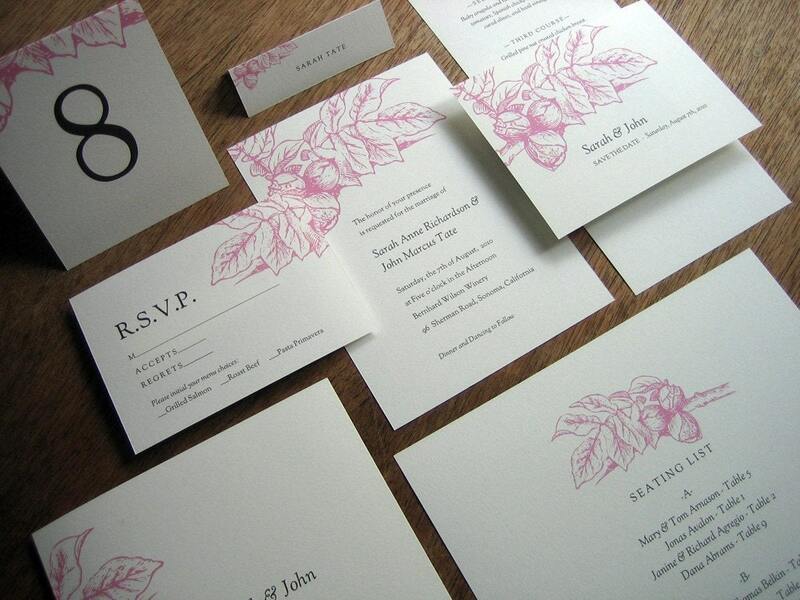 Eleanor from Empapers was amazing fast and sent us her Floral Printable Wedding Invitation Kit. We are pretty sure this set provides anything you need to print on your wedding, even menu, placecards, table numbers and the seating list are included! Beside all those most important stationary, such as invitation, save the date, response card and wedding program. A floral spring dream in white and pink. Congrats on winning and it is a wonderful theme you have set! lovely items and great theme! !